Thank you all for joining Foodie Friends Friday party. Congratulations to the winners of our sponsors giveaway. Did you see all the recipes last week that caught OUR attention? Check out the Host Favorites on the Daily Dish to see the list of host favorites from Friday’s party. The Daily Dish post will be live today at 9:00 AM PST/12 Noon EST. If your recipe is listed you can grab a ‘host favorite’ badge while you are there to add to your recipe post. 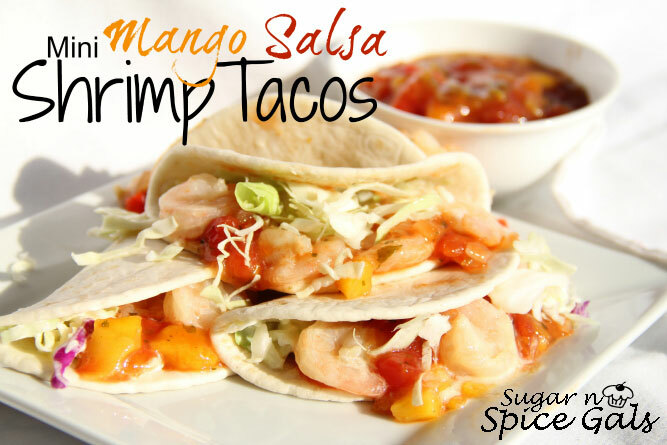 My host favorite is mango salsa shrimp tacos from Robin at Sugar ‘n Spice Gals. Please stop by to congratulate Robin and tell her I said hello. We look forward to seeing you again this Friday for another fun party!